You might fit the description if you already live in the gorgeous Pacific NW, residing in Seattle or Portland or within striking distance of the gorgeous volcanoes which set this area apart from the rest of the lower forty eight United States. Washington State hiking, Oregon backpacking... the options are tantalizing. After all, the Pacific Crest Trail (PCT) winds right through this territory. For instance, here's a description of my latest Pacific NW snowshoeing adventure in the Chiwaukum Mountains near Stevens Pass. Or maybe you dream from afar of seeing something spectacular in this region next summer, such as Mt. 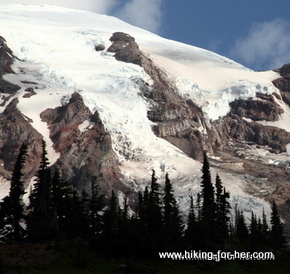 Rainier up close and personal (or her hot tempered nearby little sister, Mt. St. Helens). I'm a proud Seattle hiker, although I can't claim to be a "local" i.e. "born and raised" in the Emerald City. I moved to Seattle briefly in 1977, just long enough to fall in love with the place while finishing up a degree at a local university. I was lured back in the early 1990's, and have lived here ever since. Most women hikers find them alluring, but to me they were so irresistible that I blew up my entire life to hike in them regularly. How's that for answering the call of Northwest hikers? Where else in the United States do you have your pick from multiple mountain ranges within easy drive of a major city? And have lots of ocean front hiking, too! Where else can you scramble up onto active (although currently well behaved) volcanoes and watch life go by? Or hike around one, 93 miles in all? And tell me: where else can you pick and choose when and how much snow you want to deal with on any given day by driving to and from your choice of two mountain ranges? The Puget Sound region is nirvana for Northwest hikers, for all of those reasons, plus many more. *read fresh trip reports about the best Washington hiking before I leave for the trail head. I'll organize these resources beginning with those devoted to the Puget Sound area and surrounding mountains (Cascades and Olympics). From there, I'll widen the scope to include the entire state of Washington. And finally, I'll highlight resources which provide information about Northwest hiking in the context of Washington, Oregon, and beyond. I'll also note what I like best about each resource. That will give you a quick way to know if it's the right place to go for the hiking trip you have in mind. Please keep in mind that my resource list is constantly evolving. So check back often as I add to the treasure chest of Northwest hikers resources. Lastly, I offer myself as a knowledgeable resource if you have questions about what it's like being a Northwest hiker. There will be a contact form at the bottom of the page for you to use. And I'd be glad to take a look at any recommendations on Northwest hiking you'd like to add to my list. Meanwhile, here are some "must do" day hikes at Mt. Rainier. Click on the photo for all the details. Northwest hikers (and visitors) do well to check these resources for opportunities to wander the lush forests on the west side, the Cascade and Olympics mountain ranges, and the dry east side of this diverse state. 1. Washington Trails Association (WTA) lists many hikes close to Seattle, but folks wander quite far afield, too. I use their website for scouting fresh trail reports written by hikers of all abilities. I also comb their website for volunteer opportunities and political developments affecting Northwest hikers. You can become a member and receive a monthly print magazine. I read it cover to cover most months, just to keep current with hot button topics circulating in the hiking community. 2. Rely upon government websites only for general information and to plan which permits or camping arrangements you might need. For example, if Mt. Rainier is calling to you, use the National Park Service website. What I like about this site is the chance to get a general overview of an area I'm only vaguely familiar with. I've been hiking around here for over 20 years, and I still don't know the locations of all the greatest Northwest hikes. For more information on finding great hiking trails, read this. What drives me crazy is how infrequently their trail reports are updated, especially in the spring when I'm wondering if a certain access point is open or not. Tip: During transition seasons, I rely upon fresh trail reports from WTA, rather than on the government sites. 3. 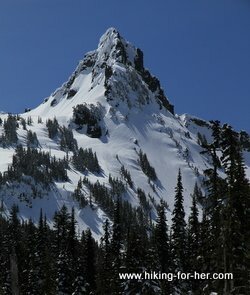 For some excellent hiking blogs, including regional NW blogs, try these. 4. A new guidebook Hiking Washington's Fire Lookouts is reviewed here. Looking for accessible hiking trails in Washington State? The Washington Trails Association has pulled together a comprehensive resource on accessible hiking trails just for you. As you can see, you have no shortage of options for hiking in the Pacific Northwest. If anything, the choices are somewhat overwhelming. So work your way through my list slowly, and bookmark only the ones that relate to your type of hiking. Most of us have "bucket lists", organized by season. At least I do! These resources help me add to that list. And when the weather cooperates, or even when it doesn't, I take satisfaction in watching that list grow a bit shorter as the years roll along. I'm sure every Northwest hiker can relate. Ready for a physical and mental challenge? Consider the West Coast Trail on Vancouver Island. Or try the Wonderland Trail around Mt. Rainier. Craving some time with alpine flowers? We have glorious flower seasons! You can take a quick peek here. 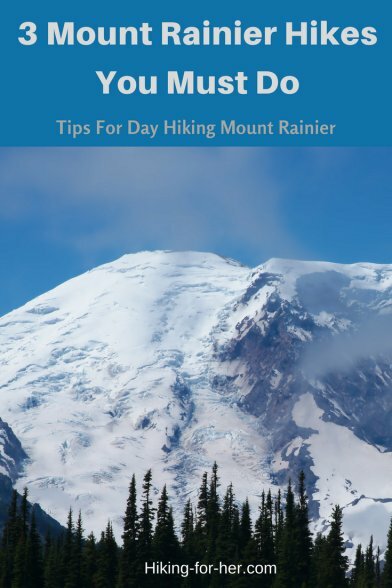 If you're a hiking newbie interested in getting your boots dusty on some Northwest hiking trails, give my resources a good going over. But if you're still wondering about a few things, drop me a line using this contact link. I'll answer your question, and may even share it with my website visitors. This goes for "out of towners", as well as indigenous Pacific Northwesterners. If you're interested in hearing about the informal one day classes I offer, drop me a line and let me know if you're interested in snowshoeing or hiking, and let me know if you're a beginner or intermediate hiker. I love getting women out there, exploring our fantastically gorgeous big back yard! and offering something different from the ones I've already listed. Be sure to check back often - I'm always on the hunt for great hiking resources, and I will share every last one of them right here, with you! And please take a few minutes to drop by my Facebook page and Pinterest pages, too. You never know what you'll find that might be useful when you hike in the Pacific Northwest!